Ground Motive: A Hope Without a More Primary Hopelessness? 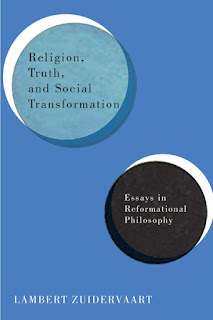 Let me start with a confession: I know almost nothing about the tradition of reformational philosophy. Hence, this brief note is more a way of learning my first lessons about this tradition than an informed engagement with the epilogue of Lambert Zuidervaart’s book Religion, Truth, and Social Transformations: Essays in Reformational Philosophy. The epilogue of Zuidervaart’s book – “Earth’s Lament: Suffering, Hope, and Wisdom” – is indeed a prologue. Not simply because it is an inaugural address. The epilogue is primarily concerned with sketching the key elements of a philosophy that hopes and strives for a different future, i.e., a new Earth. The epilogue reflects on the virtual absence of traces of human and non-human suffering in the history of philosophy and highlights the implications of this absence for philosophy today. It asks why and how philosophy suffers from an indifference toward or conscious suppression of human and non-human suffering. In response to this indifference or suppression, the epilogue offers a sketch of a transformative philosophy—a philosophy that is responsive to suffering and aims at “global healing” (p. 323) in a transformed world. Zuidervaart’s insights into the state of contemporary philosophy and his redemptive suggestions are of particular significance for our time. They highlight the need for and contribute to the development and elaboration a kind of philosophical thinking that steps into the distress of human existence today. That is why we should take these insights and suggestions seriously and think through them one by one. In this brief note, I would like to focus on and then raise two sets of questions about one of the central ideas at work in the epilogue: patient hope. One cannot overstate the significance of this idea for Zuidervaart’s conception of transformative philosophy: “Western philosophy has largely lost its speculative moment” and “does not think out of hope…” (p. 319). Thus, “patient hope for a new Earth” (p. 318) is indispensable for a philosophy that is to meet its contemporary challenges. I engage with the idea of patient hope particularly in terms of its relationship to “the promise of God’s future” (p. 318). In this brief note, I would like to focus on and then raise two sets of questions about one of the central ideas at work in the epilogue: patient hope. The hope in Zuidervaart’s patient hope is the form that “the promise of God’s future” takes as it is received in human imagination. In this sense, hope is ultimately directed at God’s future that is “better in ways human beings can scarcely imagine” (p. 318). Given the limitations of human imagination, hope must also be patient. This patience appears to refer to an experience of passion – suffering and awaiting – for a “better” future. It is a passion that is compassionate since it constantly strives to reimagine and approximate the future in ways that heal human and non-human suffering. As far as I understand, Zuidervaart seems to think of the relation between patient hope and God’s future in the following way. God’s future, which is presumably free from all human and non-human suffering, seems to play a primary role in this relation. Believing in or presupposing God’s future in patient hope – i.e., receiving the promise of God’s future in patient hope – is taken to be essential for expressing human and non-human suffering and orienting ourselves toward global healing. Without such hope, “the need to express human suffering might disappear” (p. 318). In short, “God’s future” is necessary for the formation of patient hope, which in turn makes the need for expressing suffering more felt. I would like to raise two sets of questions with regard to the relation between the idea of patient hope and the idea of God’s future. I do not obviously expect answers to these questions. Nor simply have I my own answers to them. I would like to share these questions, as they are part of my raw and immediate response to reading the epilogue. If, as Zuidervaart seems to imply, the idea of God’s future is assumed to represent an end to all possible forms of human and non-human suffering, how can patient hope – which even in its failures continues to be reassured by God’s future – be essentially different from a rationalistic refuge, i.e., a consolation of philosophy rather than a philosophy that contributes to transforming the world? To be sure, Zuidervaart points out that God’s future is “a future that comprehends us much more than we comprehend it” (p. 323). But does not an assurance by God’s future, even if it is not entirely comprehendible by us, compromise our openness to the singular character of suffering, an openness or vulnerability to the future, which is essential for lending a voice to suffering? In other words, can patient hope be transformative without a certain hopelessness (or if you like an essentially incurable helplessness) that is devoid of any form of assurance and does not belong to the ultimately teleological order of ‘hope vs. despair’? Can there be a transformative sense of hope without a more primary hopelessness that at once enables and threatens both hope and despair? In other words, can one simultaneously hope and listen? How can a reformational philosophy be transformative without being at least in some political sense revolutionary? This first set of questions about the relation between patient hope and the promise of God’s future brings me to the second set. In reading the epilogue, I could not help but noticing the conspicuous absence of the concept of the political in Zuidervaart’s sketch of transformative philosophy in general and in the idea of patient hope in particular. What is the place and role of the political in Zuidervaart’s transformative philosophy and patient hope? How can the patience of patient hope go hand in hand with the urgency of suffering and political action necessary for transformation? Is the political entirely reducible to the social? How can patient hope avoid being a merely moral or religious position and perform a transformative function if it does not have a built-in structural openness to the political? How should we conceive of the place and role of this structural openness in a philosophy that aspires to be transformative? How can a reformational philosophy be transformative without being at least in some political sense revolutionary? Farshid Baghai is an assistant professor of philosophy at Villanova University, Philadelphia. His primary research is on Kant’s first Critique. He also has active research interests in Hegel and 20th century German and French philosophy.